You basically have workers demanding high wages and high business real estate prices. This means a lot of times companies can't sell low-tech products but have to sell high-tech products for higher profit margins. High-tech products cost more money meaning workers need higher wages to keep up with high-tech-high-prices consumer demands. Employees and managers, along with CEOs are pressured to make high sales to keep up with high cost of labor and high cost of real estate, along with high production costs to produce high-tech products. High-tech products demand high-skilled labor making hiring procedures extremely complex. CEOs, managers and employees can't make profits, need huge profit margins to stay afloat, start mismanaging the company. Government explains that exports are the only way to stay afloat, but Korean products can't compete with low-wage, low-tech, low-real estate price products from other countries. Exports can't keep up. Companies go bust. Laid-off employees start restaurants, too many restaurants in town, restaurants go bust. The rest is commentary. To illustrate this scheme let me discuss my internship experience at a Korean company. It was a factory manufacturing blinds (not vision-impaired people, but the screens you put on windows). I started my internship in May 2011. For a very long time, blinds were a low-tech product which helped most companies and factories compete on an equal footing. There were no low-tech blinds and high-tech blinds, most blinds were a piece of cloth screen you put on windows. The only technological innovation, which our factory had, was to make blinds fire-proof. But then blinds made of plastic and electronic blinds, or shutters, started competing with the blind industry. Our factory relied on high sales because employees made relatively high wages, real estate costs were high and production costs were high. The factory could not afford to notch up and start producing shutters or electronic shutters, sales dwindled, employees were laid off, many started restaurants or grocery stores, and the factory had to shut its doors. For the story the CEO took a high-risk loan from loan sharks and rumor has it he died mysteriously. Even grocery stores can no longer afford to go low-tech. High real estate prices coupled with high labor costs mean grocery stores have to provide all kinds of high-tech products and refrigeration to stay afloat, to bump sales up. In sum, high rent, high wages, must sell high-tech products. High production costs. Profit margin must be high. Consumer prices go up, workers demand higher wages, rent prices keep going up, must sell better quality high-tech products as innovation keeps advancing. Pressure to make higher profits, employees start going crazy. Profits can't keep up. Company shuts down. 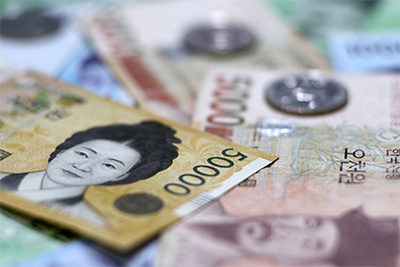 So what's the recipe for South Korea's economic revival? What prompted me to accept an unpaid internship in 2011 (I was 27 years old) was that I could gain some practical work experience to eventually apply for jobs at better companies. Turned out differently, but here's the recipe that can revive the Korean economy. Regarding real estate prices, which are high, forcing companies to go high-tech even when they don't always master high-tech production; a lot of the real estate is built for speculative rather than practical purposes. That is you have constructors who build trying to make money rather than trying to rent or sell their property. Naturally, property sales or rents don't always go as planned, people don't rent as much as initially planned, meaning constructors or land owners have to take higher rent so they can compensate for low rental rates. The solution? Freeze construction where necessary. After all the government does own the land. There's a lot more to the story, but I'll stop here regarding real estate. Regarding the high cost of labor. Income is something that is supposed to be negotiated and that goes up with time. Because of the high-tech nature of the Korean economy, a lot of times workers are expected to have all the credentials needed to work in a high-tech environment. Workers are supposed to be allowed to start in a low-tech environment in exchange for lower wages, learn about the high-tech industry, and gradually make their way to the high-tech industry. The problem is ultra-high tech industry workers tend to be protective of their jobs, and tend not to allow workers to enter the workforce unless they join the ultra-high-tech company straight out of college. That is a 40 year-old worker can't get a job at an ultra-high-tech company. Young workers protect their jobs specifically because lower-rated high-tech companies are not making money and struggling to stay afloat. Finally, is there a market for low-tech products in Korea? Of course! If companies have lower rental prices and pay their workers lower wages, there is a market for low-tech products. Be it low-tech electronic goods, low-tech furniture, low-tech accessories, low-tech grocery stores, low-tech coffee shops, you name it! People don't always want the more expensive product. Some will want 5 dollar coffee and some prefer 1 dollar coffee at a shack. Some prefer cozy sofas and clean tables others prefer plastic chairs and tables. Some like old style phones and low-tech, cheap computers, other prefer high-tech computers. When it comes to exports, needless to say, you need a lot of high-tech, but a little bit of low-tech won't hurt. These factors are what made South Korea the world's most innovative and creative nation by all standards. High real estate prices, high wages mean that companies have to constantly innovative to stay afloat and that workers constantly need to update their knowledge to stay afloat. But you don't want a nation where everyone will eventually lose their job and have to open restaurants or grocery stores, do you?